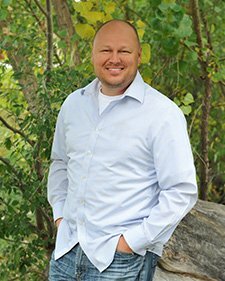 As a practicing dentist in the Sugar House area of Salt Lake City, Dr. Jared Theurer is well known for his talents as a general and aesthetic dentist. In February 2010, the Crown Council (an international group of leading-edge dentists) awarded him “Young Dentist of the Year.” Dr. Theurer is a graduate of the University of Utah and the University of the Pacific School of Dentistry, where he graduated with highest honors and received a doctorate of dental surgery. He is a member of the Crown Council, American Academy of Cosmetic Dentistry, Academy of General Dentistry, American Dental Association, Utah Dental Association and the Alumni Association of the University of the Pacific. He is also an annual volunteer for the Smiles for Life Foundation and many other worthwhile humanitarian dental projects. Besides dentistry, his life’s passions include fly fishing, fly tying and traveling with his family. A lifelong resident of Sugar House, Dr. Theurer is married to his Highland High School sweetheart, Heather, and has four sons, Benjamin, Henry, Heber and Carter, and one daughter, Libby, who is the newest addition to his wonderful family.